Forum Index > Historical Arms Talk > I need help identifying this weapon with a flame-blade. 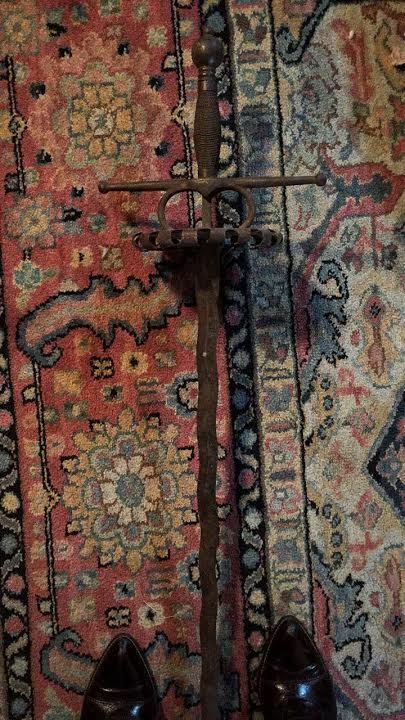 Posted: Tue 16 May, 2017 6:15 am Post subject: I need help identifying this weapon with a flame-blade. 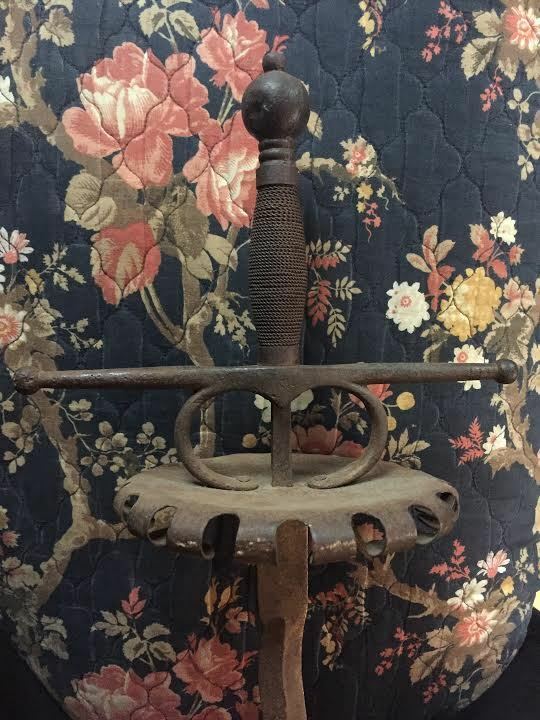 I've recently begun researching this sword with a flame blade that I found in my grandfather's basement. 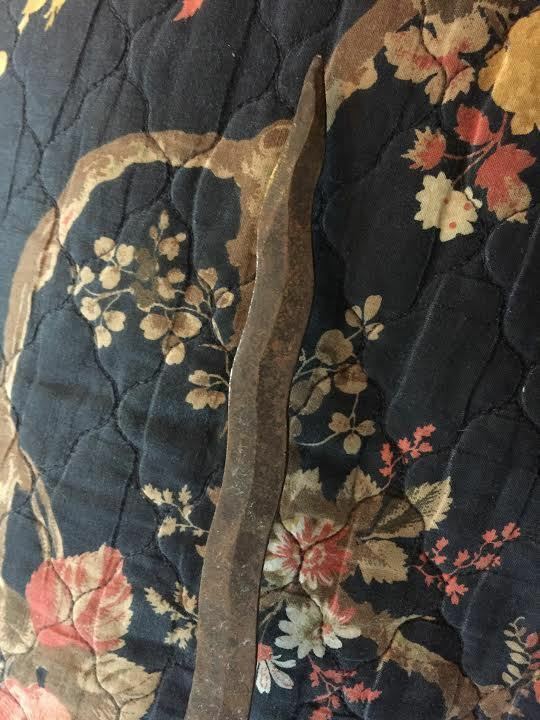 Not including the hilt, the blade is 35" long and the hand guard is round, ~6.5" in diameter. Please let me know your thoughts! During the early 1970s a number of reproduction/decorator items such as this were imported from Spain. Many of these pieces were recognizable as copies from the Royal Armoury at Madrid. Most had the same wire wrapped handles and antiqued rough finish such as yours, Others were available in a polished and decorated manner with a bit of enamel decoration in the hilt area and cord wrapped handles. None of these pieces had a cutting edge nor a whisper of distal taper as there was never any intent to decieve buyers. They were sold here on the West Coast by a number of "import" shops and even a few furniture stores. Thank you for your replies. Even though it isn't worth much, it is a cool piece to have. It's certainly going up on the wall. How cool! I have loved the original since I saw it many years ago; I think it was owned by Philip II. Obviously, it had more bling than this copy, but I would be thrilled to come across one of these. Yes sadly I have to agree it sounds like a victorian or later copy. however it is a nice one at that.